All our Ready Made Products are built to last for a long time, compact, mobile, cost effective and comes with a wide choice of color and applications. Our products with our standard design & color can be delivered very quickly and soon will be available in multiple outlets for instant delivery besides any specific customization required by a customer can be designed & manufactured as non standard product. 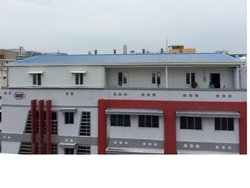 We are the leading supplier of the Additional Place Roof Top its a Prefab Building Structure used in different industrial construction site . 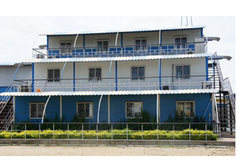 Backed by rich industry experience, we are the leading service providers engaged in offering Pre Fabricated Roof Top. The offered services are effectively rendered in adherence to the set universal standards. In addition to this, these services are executed as per the varied specifications of clients in order to gain their maximum satisfaction. Clients can avail the offered services from us at market leading prices. 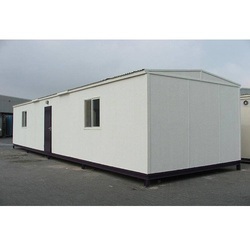 We manufacture innovative readymade solutions for various applications such as Bunk House, Project Office, Site Office, Pantry, Security Cabins, Information Booths, Staff Labor Toilets and any type of multipurpose/ multi utility cabins. All our Ready Made Products are built to last for a long time, compact, mobile, cost effective and comes with a wide choice of color and applications. Our products with our standard design color can be delivered very quickly and soon will be available in multiple outlets for instant delivery besides any specific customization required by a customer can be designed manufactured as non standard product. Looking for Roof Top ?